I got Fairtex KPLC2 Curved Thai Pads way back in February 2010 after my Top Contenders fell apart and I sold my Top King Pads that I disliked. At the time, I was looking for a pad that was less stiff and offered a slight curve to it. Saw these and fell in love with the design so I placed an order online through a US distributor. Price was around $135 including shipping. The craftsmanship that went into these pads really goes to show why Fairtex is considered one of the top Thai brands. The stitching is practically perfect throughout without almost no loose threads or busted seams, which is a good indicator that they will last awhile. The leather, made from premium cow hide, is the nicest I’ve felt on any pair of thai pads. 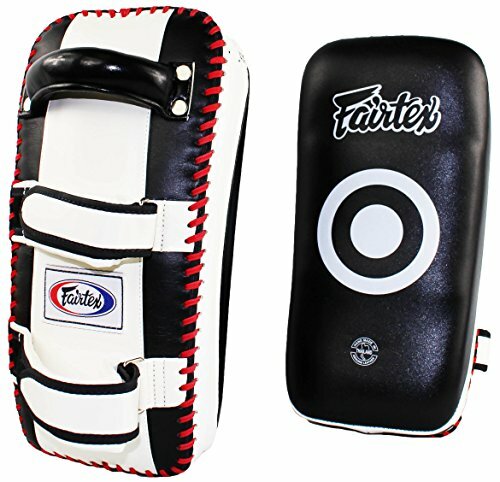 Fairtex certainly did not take any shortcuts when crafting these, which should be the case, given the high price tag. One of the first things I noticed when holding the pads was how light they are coming out to just 3 & ½ pounds each when placing them on the scale. The weight is very well distributed giving it a nice balanced feel. One note I would like to add is that the product description states that the bottom of the pad is denser for kicks. I did not find this to be the case. The padding is very consistent from top to bottom in terms of density. The design is very pleasing to the eye however after several months of abuse the paint does begin to chip and after several years of using them this has only continued. The areas that are affected the most are the bull’s-eye, as this is where most of the abuse takes place. The white parts of the pads are also easily scuffed up, but this is the case with all gear that is white. The chips and scratches is slightly disappointing because part of the reason I bought these was because of how aesthetically pleasing these were. However this should be expected and it does not affect the actual performance of the pads. One of the best features is the strap system that Fairtex uses. The Velcro straps can be applied very tightly if that’s what you desire, but for those who prefer a nice loose fit like myself these pads can provide a loose fit while staying secure. Additionally, there is a nice cushiony foam that rests on your forearms when these are strapped on which grant extra comfort. While holding these pads I found that they absorb shots extremely well. For as thin as they are in comparison to some other pads I’ve used, the shock is absorbed and dispersed throughout the entire pad. You will of course still feel the impact in your arms from heavy hitters but it absorbs a lot of the impact allowing you to hold for longer sessions without issue. I would definitely recommend these pads to those who experience a lot of fatigue or pain in their wrists. The light weight coupled with the great shock absorption really goes a long way in preventing a lot of the abuse your arms and wrists take. Even after 5 years of abuse, these pads are still holding strong and absorbing shots the same as when I first got them. 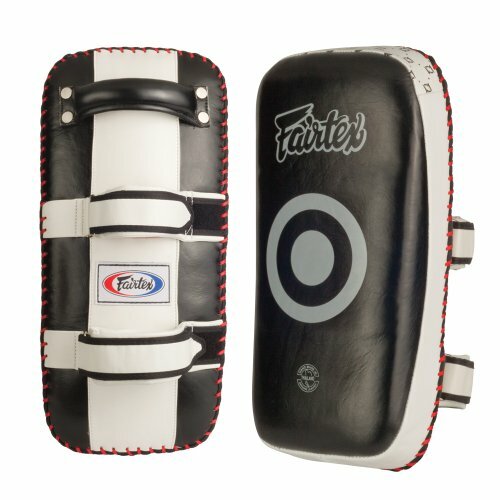 When it comes to hitting the pads I think Fairtex has found a very good balance on the padding. These pads offer more of a Thud than a POP when striking, but it’s still very satisfying to hit. I find the “bull’s eye” a nice little feature. It makes me hit the center of the target and helps with my accuracy for punches and elbows. For kicks the padding is firm and not dense so it is pretty forgiving on your shins. I love the way these feel when kicking them as they’re not rock hard like some other brands. 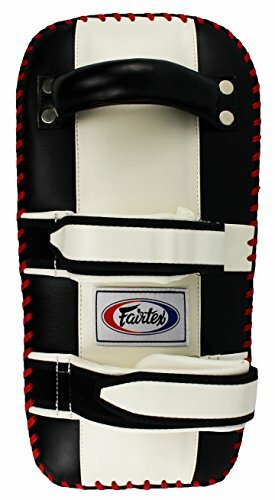 All in all, the Fairtex KPLC2 Kick pads are easily the best thai pads I’ve ever used. They are at a perfect weight and are extremely comfortable to wear. The strap system makes them incredibly easy to slip on and off, which is nice for classes where you have to constantly switch between gloves and pads. While the price may detract some, their durability is second to none, and after several years of using them, there is still plenty of life left in them. Ryan purchased this pair of Fairtex Pads himself for the full price. This did not influence the outcome of this review. Hi fellow gear enthusiasts. My name is Ryan and I’ve been doing martial arts all my life. When I was 18 I took a Muay Thai class and have loved it ever since. From spending countless hours on the bags and pads and being in the ring, I have come to appreciate the importance of owning a pair (or in my case, a dozen) of quality boxing gloves to protect your hands as well as your sparring partner’s face. I am thrilled to be able to share with you my experiences in using many of the top brands of both boxing and Muay Thai equipment. Comment from discussion Fairtex KPLC2 Curved Thai Pads Review.